Categories of the IGDH: - igdhs Webseite! 1.1 Admitted are only birds oft your own youth breeding, which are officially marked with a ring of the DKB or AZ in the right size. 1.2 In strips all of the four birds must have the same sized and colored ring of the breeding organization and the same breeding number. 1.3 At the moment only singular birds are admitted to the exhibitions. 1.4 The birds must be birds oft the youngest age group. Exceptions are the old birds oft the SKL. 1.5 The exhibition takes place at the third weekend of Advent season. For certain reasons the appointment can be rearranged by the management of the IGHD. 1.6 Every member of the IGDH can be the topman of the exhibition. The IGDH must to agree with the topman and the exhibition place. 2.1 The birds must be registered in written form at least 14 days before the exhibition starts. 2.2 At the day of arrival the application must be done on the regular formular of the IGDH considering the colour, ring number and SKL. 2.3 You must pay a stall fee for your birds. 2.4 You can only display the birds in clean and accurate cages. 2.5 The amount of the stall fee is assigned and announced by the IDGH. 2.6 At the moment the stall fee is 1,50€ for members and 2,50€ for non-members. 3.1 The categories are appropriate to the decision of the latest general business meeting of the IGDH. 3.2 For each different category there will be a winner. 3.4 The classic melanin-birds of the SKL 13.1.-16.4. will be separated by colour and intensity if there are more than three birds in one category. The SKL categories will then be split into 13.1.1. -16.4.1. 3.5 T he non-classic melanin-birds of the SKL 17.1.-17.9. will be separated by colour if there are more than three birds in one category. The SKL categories will then be split into 17.1.1.,…. 3.6 In each SKL category there can be displayed an unlimited amount of birds. 3.7 In each category there only will be one winner. 3.8 Each winner will get a certificate. 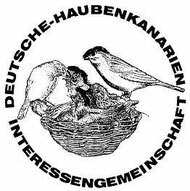 „the 10 best hood canary birds of one breeder“ in each category of the youngest age group. .
3.11 The two champions of the categories and the winners of the general performances will get challenge cups. 3.11.1 More cups and gains will only be awarded if the cash position is good. Other founded gains will be assigned by the management. 4.1 The assessment of the canary birds must be taken related to the conditions of the professional group. 4.2 The correct execution of the assessment of the canary birds on the IGHD exhibition is warranted by the topman or his deputy. The assessment places are only approachable to the topman and the jury. The birds will be assessed in reference to the written form of application. 4.3 The choice and order of the jury is incumbent to the management of the IGDH. 4.4 The ascending order of positioning must be visible on a document. 45 The original assessment cards must be given to the exhibitor at the end of the exhibition. 4.6 The placing of the cages must be on behalf of the visitors and exhibitors. The cages must be placed related to the guidelines. 4.7 The assessment cards must be fixed at the cages. 5.1 In case of tie, the evaluation of the canary birds will be carried out by the acting jury. If the jury members are non-attendant anymore, the guidelines of the DKB enter into force. 5.2 The birds may be controlled respective the rings. 5.3 In case of ring manipulation all the birds of one exhibitor will be staid AK and further steps of the IGDH may follow. 5.2.1 Other AK settlements are missing rings, rings which are too big, rings which are unreadable and manipulated birds in general. 5.5 Otherwise the guidelines of the DKB are in force. 6.1 The general decisions of the DKB are in force. These decisions can be found in the regulations of the professional group in the DKB. 7.1 The IGDH does not take the responsibility for injury, death, theft and loss of the birds. 8.1 The regulations for the exhibition enter into force by the decision of the management of the IGDH.